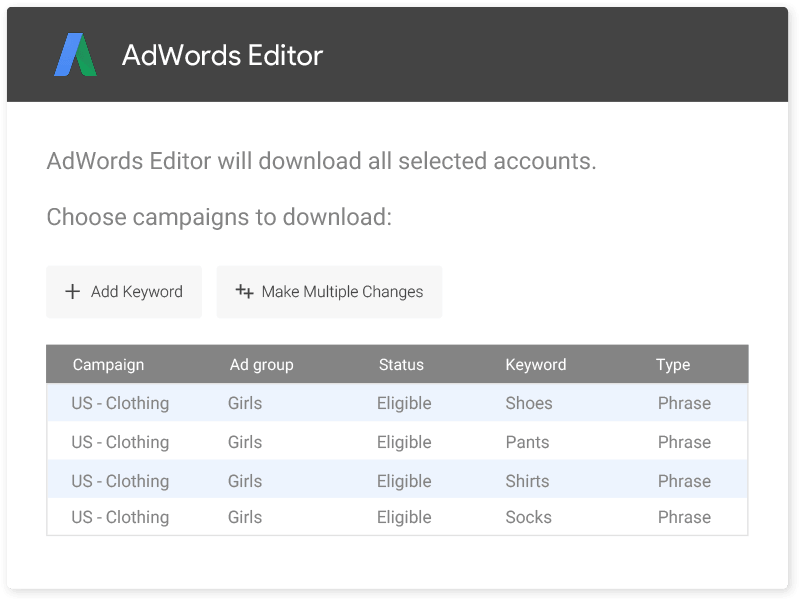 A free application for managing large AdWords accounts. 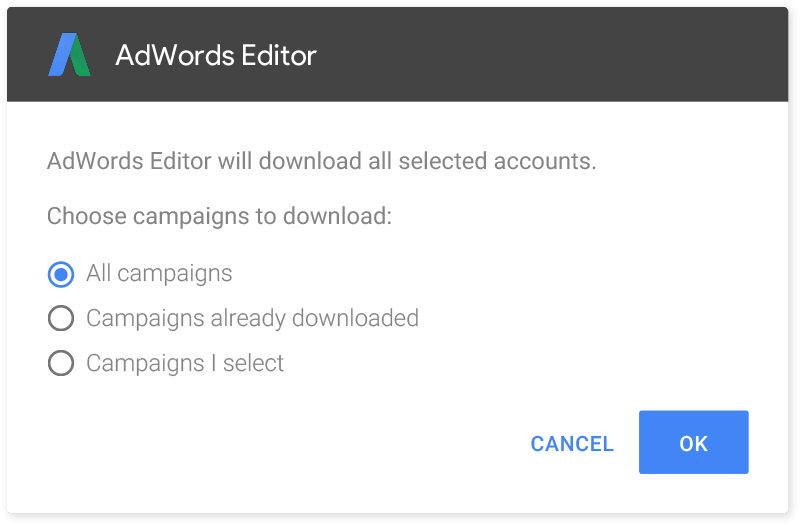 Once you’ve downloaded AdWords Editor and one or more of your accounts, you can keep working even when you’re offline. 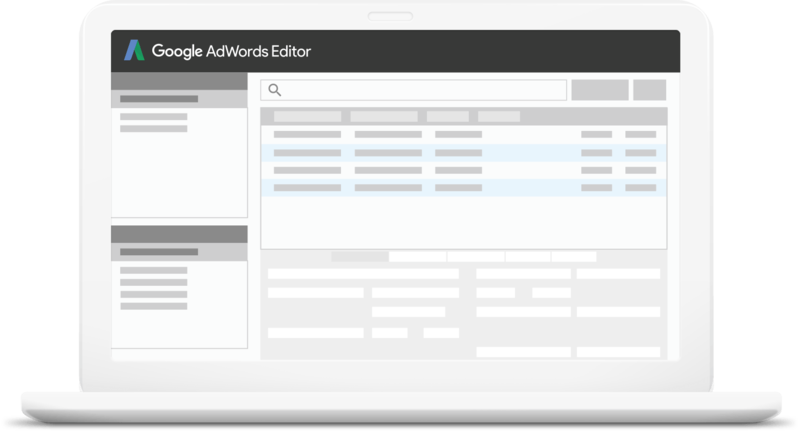 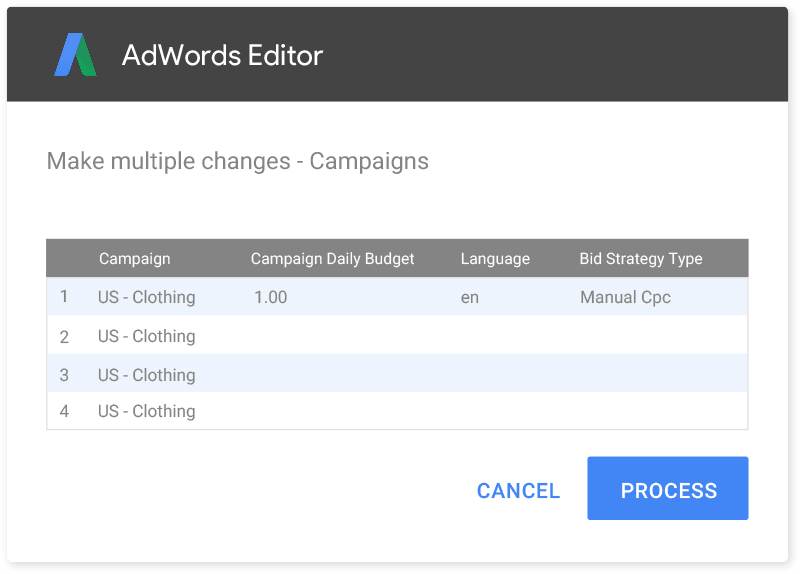 Start using AdWords Editor to organize your ad groups and campaigns.